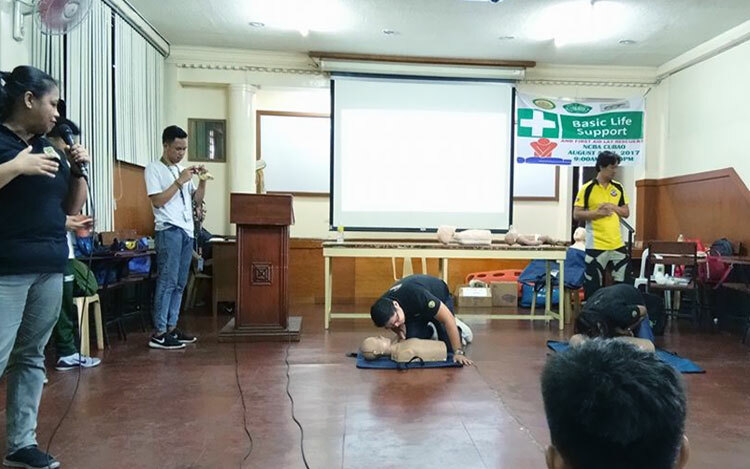 The National College of Business and Arts Cubao held a seminar entitled, “Basic Life Support and First aid Lay Rescuers”. The school’s Community Outreach Program headed by Ms. Catherine Calamlam, a faculty member of Liberal Arts in NCBA Fairview, who in turn is oversaw by none other than the Assistant Vice President for Marketing and Placement Mrs. Mariflor M. Uber, had invited five Registered Nurses from Dr. Jose N. Rodriguez Memorial Hospital to be the lecturers in the said seminar, led by Gloria D. Domingo RN EMT, together with Carla Pamella N Guban RN, Fritz Garret C. Bonite RN, Arnold O. Carcosio RN, and Amorsolo G. Papa RN RMT. The seminar started at exactly 9:03 am, I invited twenty-three high school students, of which nineteen attended. Every High School Assembly officer was present except for the Grade 12 Representative, Julienne Francesca S. Talabis. 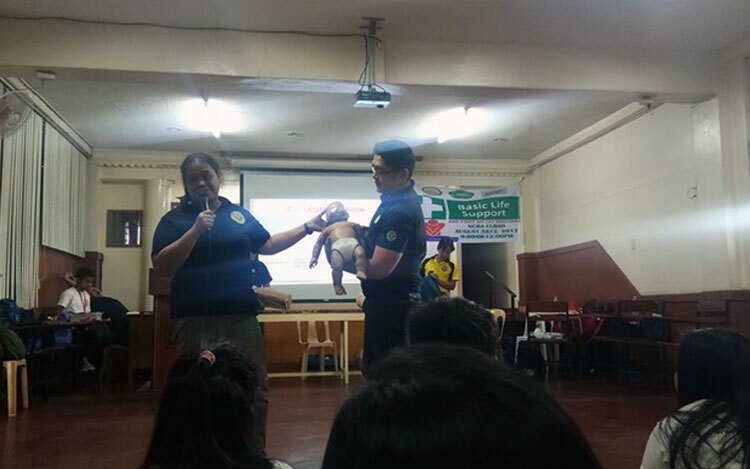 The high school students were under the supervision of Ms. Anna Vanessa E. Batallones, Mr. Virgilio A. Bautista II, and Ms. Isabelle Mae C. Mauricio. Mrs. Domingo’s three hour lecture was both entertaining and informative, she was calm throughout the seminar until she got a little mad at the college students who were taking the seminar as a joke. She apologized for releasing a little tension, but we understand her fully. 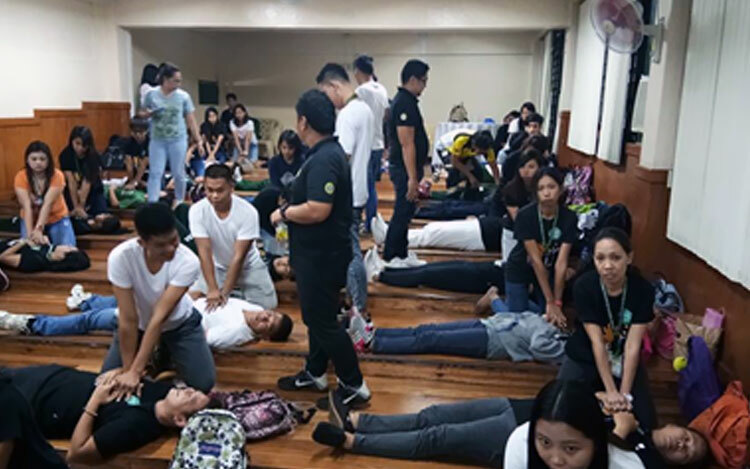 Before ending the seminar, the attendees and the honorable guests did a mass Cardiopulmonary Resuscitation Demonstration, where all attendees were partnered and practiced CPR. At the end of the Seminar, Mrs. Uber spoke in front for about fifteen minutes about the Community Outreach Program. 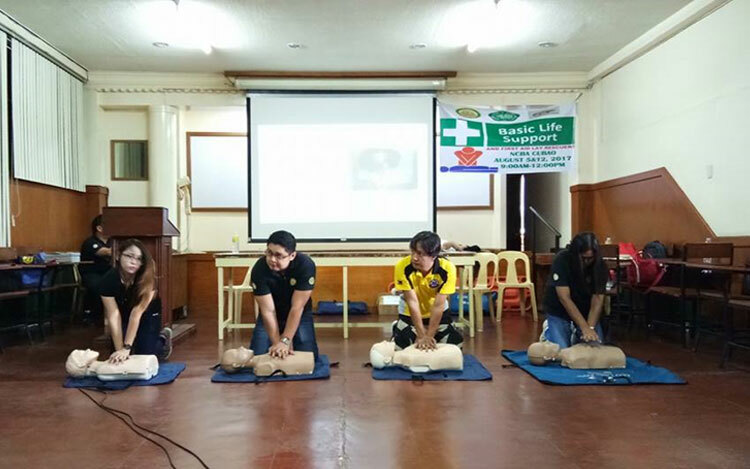 Overall, the seminar went on to be a beneficial practice in saving lives, and I hope that we get to attend the 2 nd part of the seminar next week, August 12, 2017. The Seminar ended at 12:20 noon, and the HSA officers took a picture with the guests, Ms. Calamlam, and Mrs. Uber. The High School attendees were dismissed by Mr. Virgilio Bautista II at 12:40 noon.